Beth Fremont and Jennifer Scribner-Snyder, coworkers at The Courier, know the newspaper monitors their ofï¬ce e-mail. But they still spend all day sending each other messages, gossiping about their coworkers, and baring their personal lives like an open book. Jennifer tells Beth everything she can't seem to tell her husband about her anxieties over starting a family. And Beth tells Jennifer everything, period. Meanwhile, Lincoln O'Neill still can't believe that it's his job to monitor other people's e-mail. When he applied to be an Internet security officer, he pictured himself protecting the newspaper from dangerous hackers - not sending out memos every time somebody in Accounting forwarded an off-color joke to the person in the next cubicle. Lincoln is supposed to turn people in for misusing company e-mail, but he can't quite bring himself to crack down on Beth and Jennifer. He can't help being entertained - and captivated - by their stories. But by the time Lincoln realizes he's falling for Beth, it's way too late for him to ever introduce himself. What would he say to her? "Hi, I'm the guy who reads your e-mail, and also, I love you?" 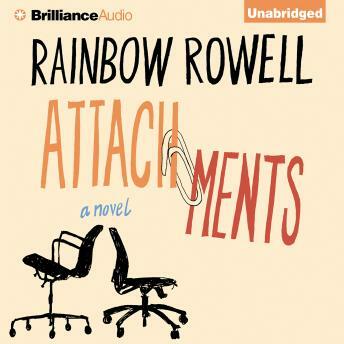 With snapping dialogue and irresistible charm, Rainbow Rowell transforms an ordinary IT guy into a lovable and endearing romantic hero and proves that falling in love never happens the way you plan it. Written with whip-smart precision and charm, Attachments is a fresh and energetic debut that marks the arrival of an exciting new voice in ï¬ction. A perfect romantic comedy. I didn't want it to end! Pretty good story! It took a little to get into but once the characters intertwine it got real interesting. slowish but really enjoyable. great to enjoy in small chunks. TP I love this book sssooo much I could put it down, I love the different perspective in this book, u can't blame the main character if I had that job u would do what he did, really love the end.